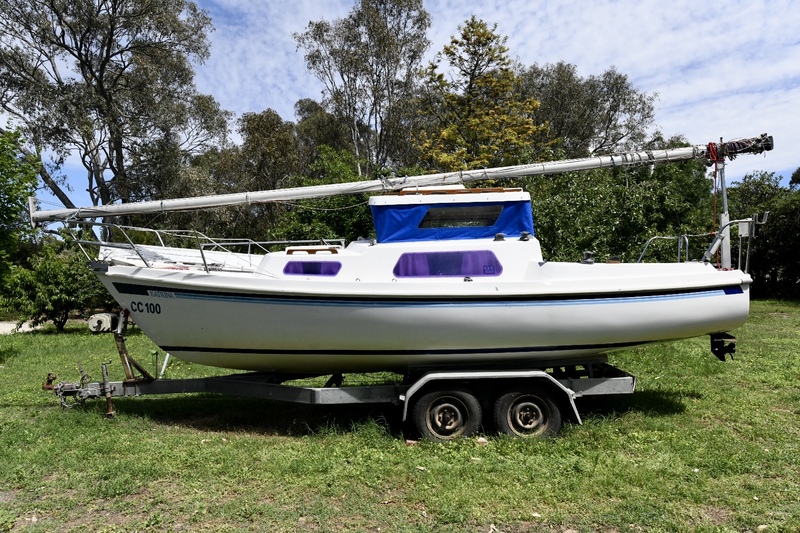 Please be aware that anything offered for sale here is offered by the member making the listing and that the BTYC cannot offer any advise or warranty or make any recommendations about the suitability of the item for sale. 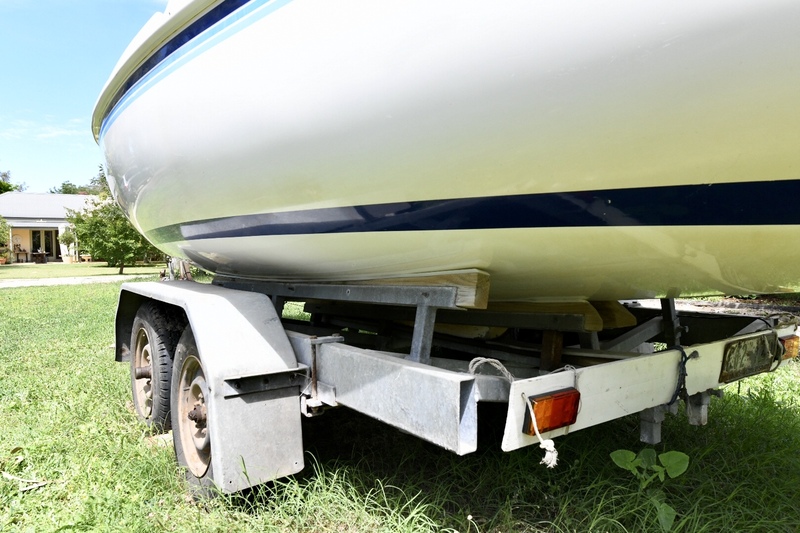 Buyers should make their own careful assessment as to the suitability of any item, goods or services that may be offered for sale. 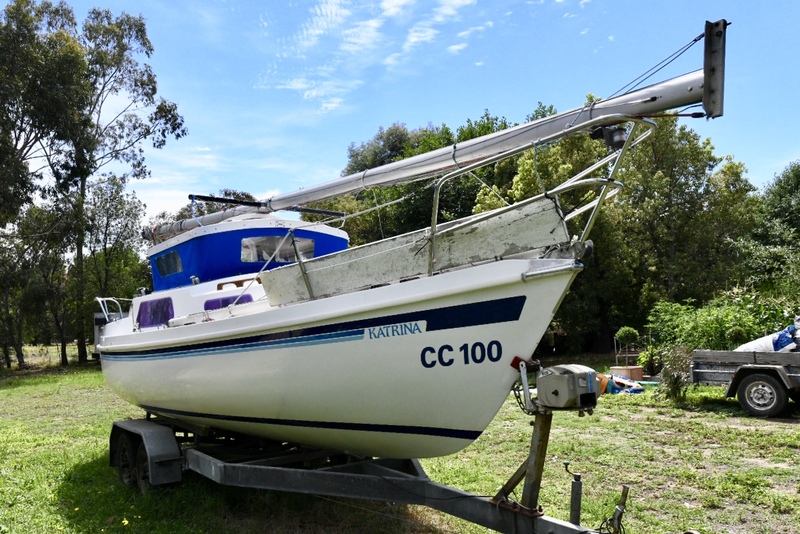 Ahoy, My friend Clive has asked me to give notice that he wants to sell his Careel 22, Katrina. 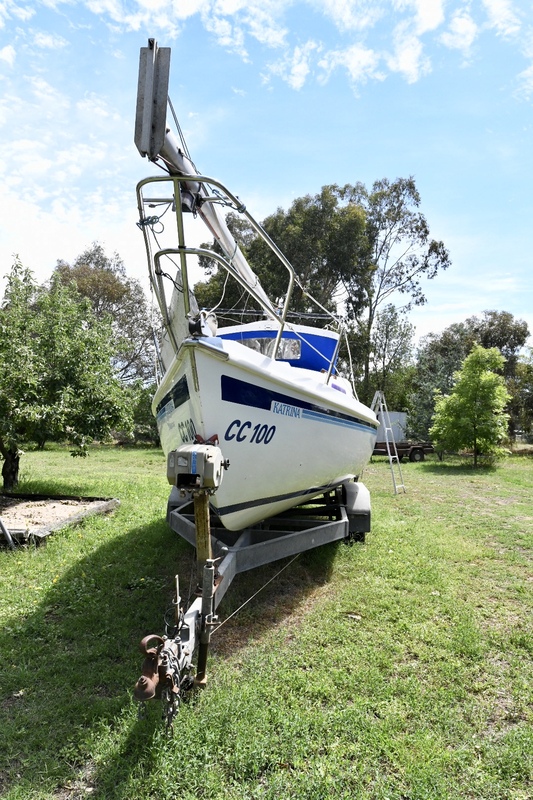 Baysiders will be familiar with Clive's boat. 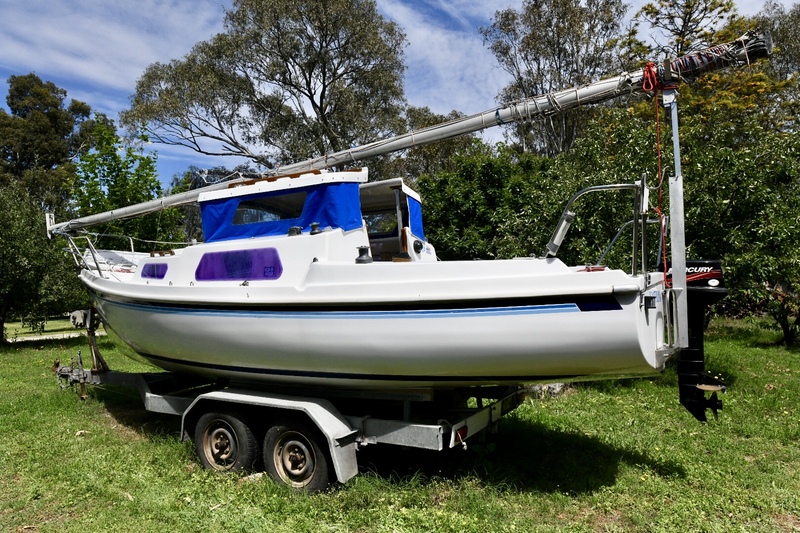 The boat is in excellent condition and sits on a near new trailer, just 2 years old. 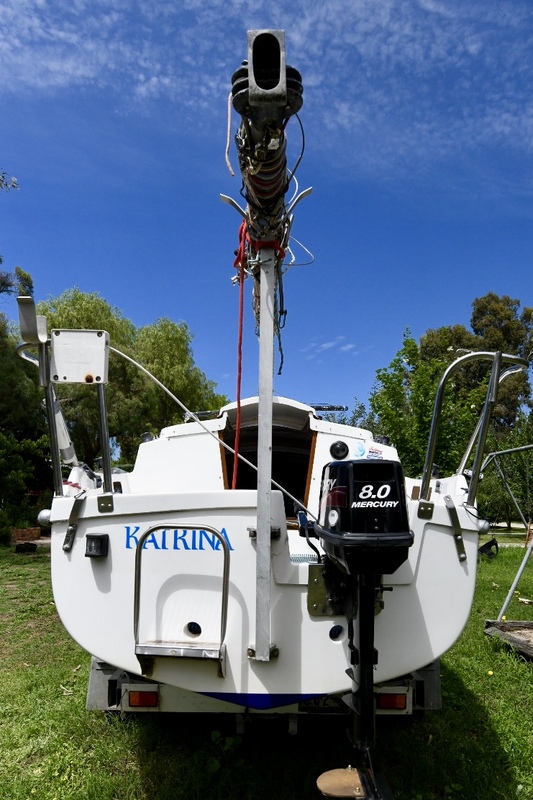 The boat has been exceptionally well maintained and is very clean and ready to sail from the moment that you buy her. 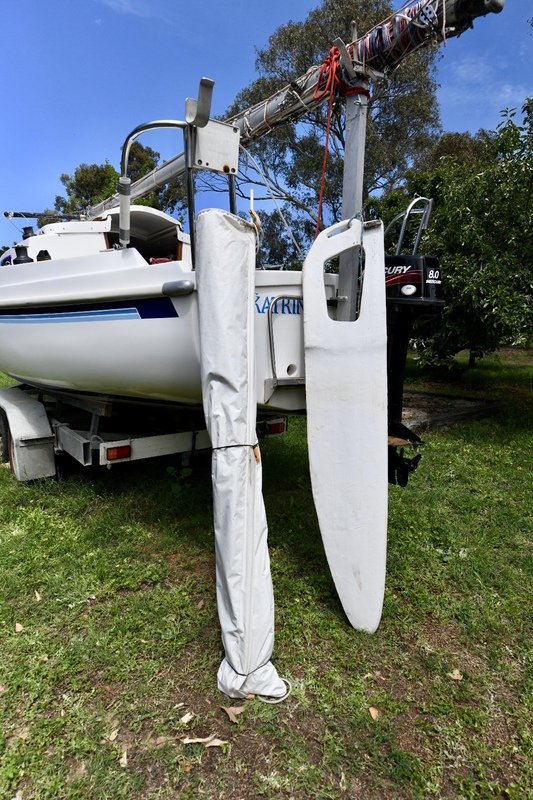 If you are looking to upgrade to a Careel 22 in as new condition this is the boat for you. 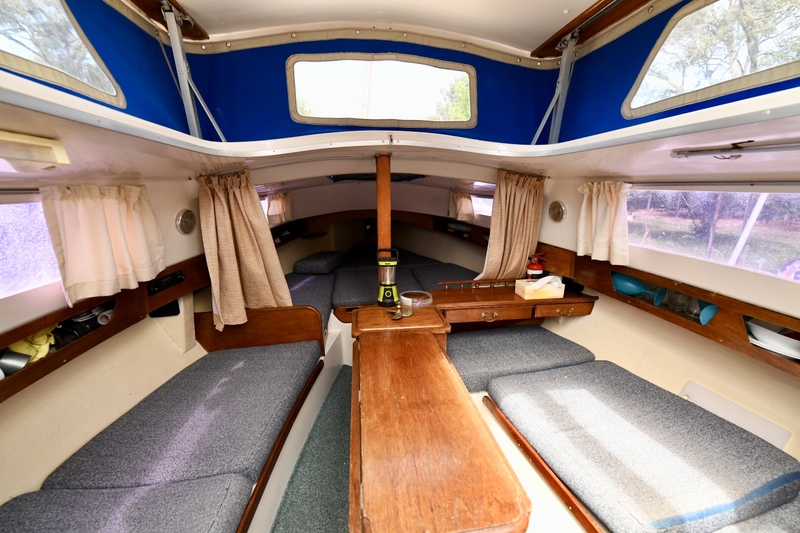 This boat has only this year been refitted with a new methylated spirit stove. 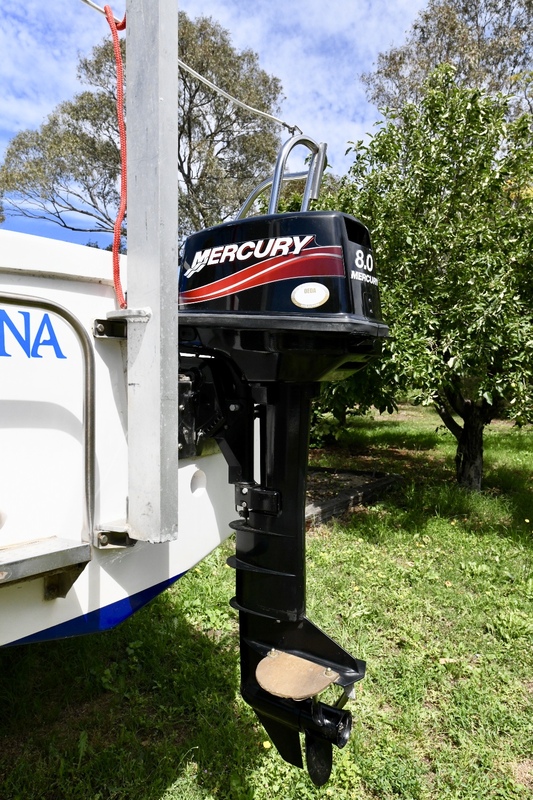 Clive also fitted a new Mercury 9 HP outboard motor to Katrina about 4 years ago. 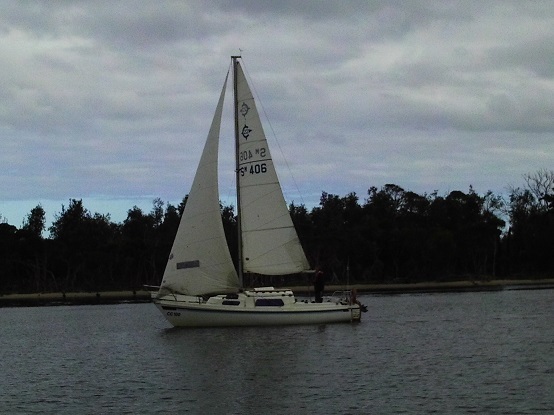 In addition the Keel Horn has been replaced with a Stainless steel keel horn. 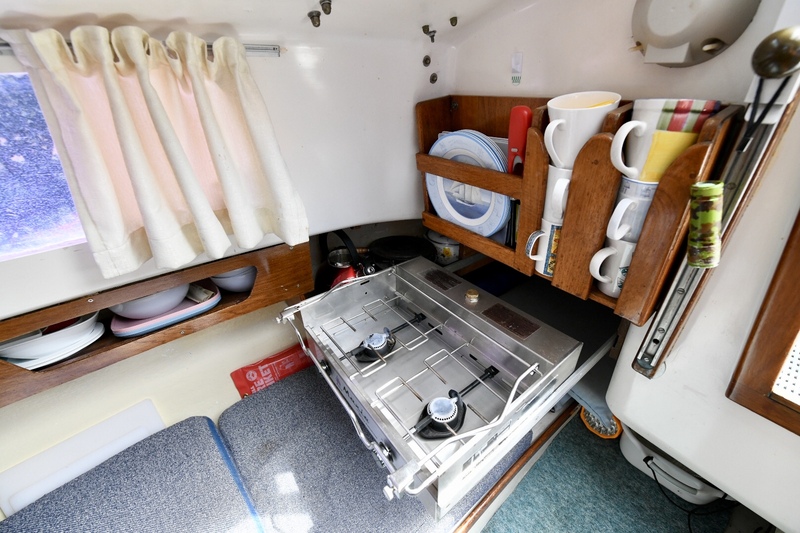 In typical Clive style this motor has been meticulously maintained and is like new. 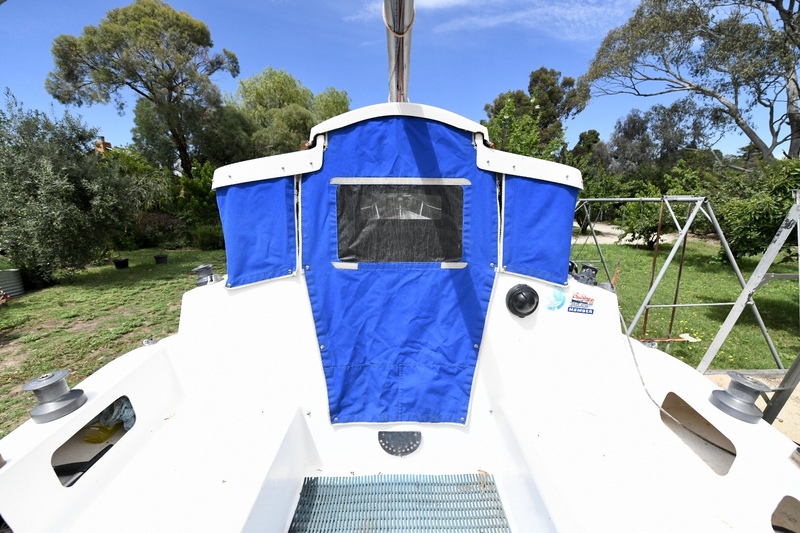 The boat also comes with a full set of Careel 22 sail wardrobe. 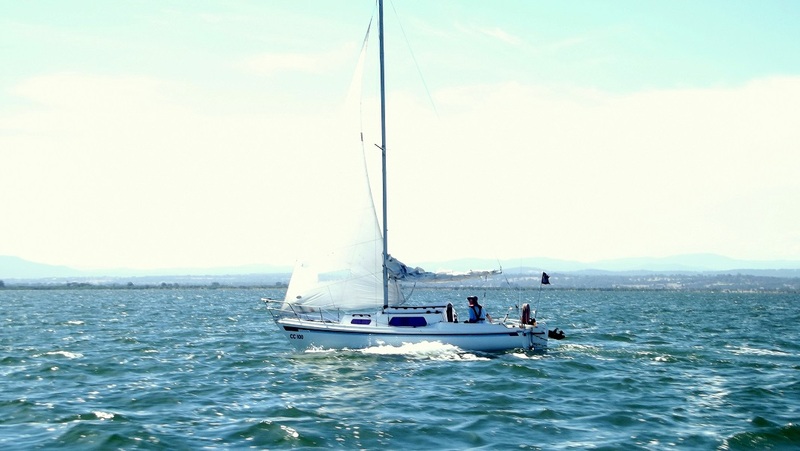 Clive is presently doing a stock take so that the sails can be listed here. 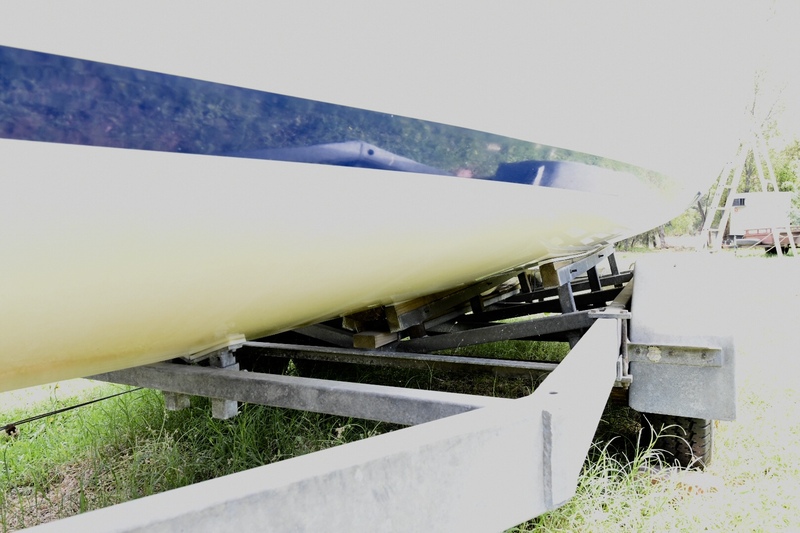 I mentioned above that the trailer was replaced about 2 years ago, with a new galvanized trailer designed specifically for a Careel 22. 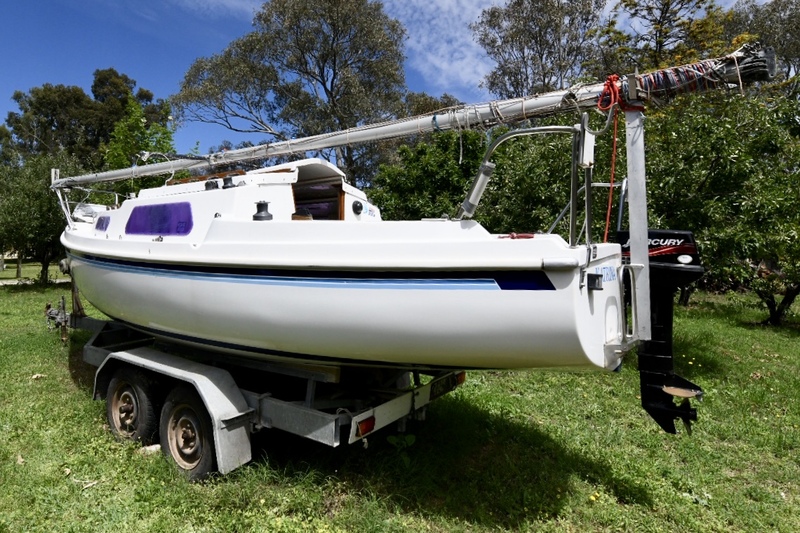 To enable comfortable camping during long road trips, the mast rests on a unique telescopic mast stand on the stern of the boat. 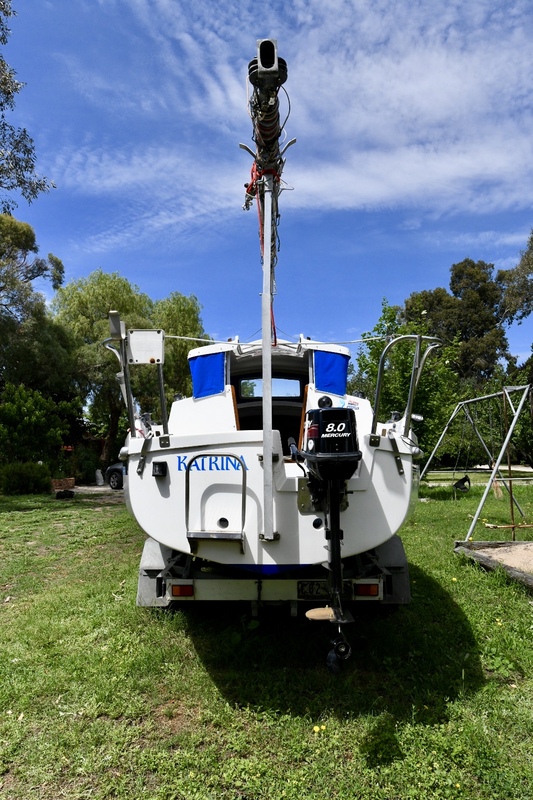 The mast stand is able to be raised to enable the hatch to be lifted to full height to give full head room during the night at camp sites. 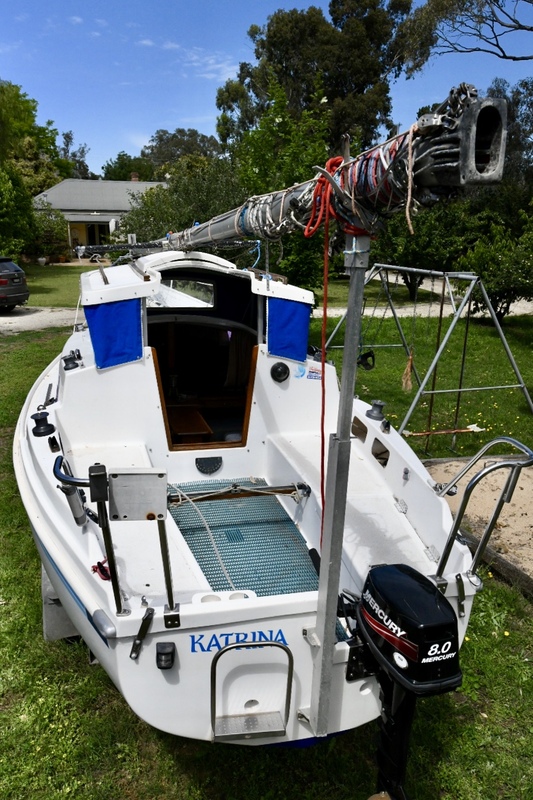 This boat is up for sale by a genuine, but not desperate seller. Selling only due to advancing age. 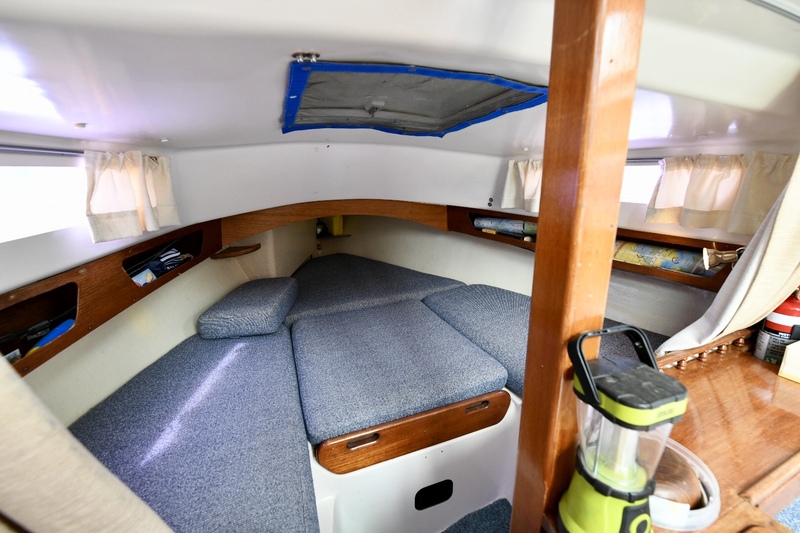 Asking price is $18,000 but just like everything the price is negotiable and the boat will be sold subject to a respectable price offer that reflects the true value and condition of this boat.